The Manhattan Beach City Council is among a group of officials to stand firmly behind Assemblymember Al Muratsuchi’s new bill, which seeks to address and rectify the frequent, unplanned power outages plaguing a number of South Bay communities. Under Assembly Bill 66, titled “Public Safety: Utility Outage Reporting,” the California Public Utilities Commission (CPUC) would mandate electrical corporations to include information on its system reliability, such as the frequency and duration of service interruptions, in their annual reliability reports. It would authorize the Commission to develop the geographic boundaries used in documenting the outages and require posting on its website. With the support of Manhattan Beach as well as Rancho Palos Verdes, Rolling Hills Estate, the South Bay Cities Council of Government and CPUC, Muratsuchi (D-Torrance) is optimistic that the bill is on well on its way to the Governor’s desk. Recently passed by the Senate Utilities, Energy and Communications Committee, AB 66 will be heard by the Senate Appropriations Committee early July. Manhattan Beach averages about one unplanned power outage every other month, said Mayor David Lesser. He explained that more often than not, the outages have stemmed not from unforeseen events, such as a car accident, a fallen tree or a mylar balloon caught in the wires, but from equipment and infrastructure failure, blown transformers and faulty equipment. 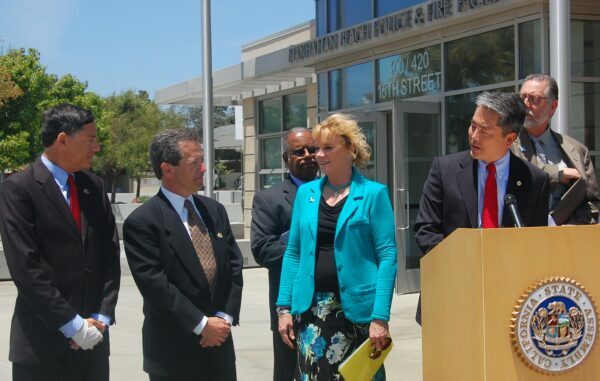 Ranchos Palos Verdes Mayor Susan Brooks relayed an even more urgent situation. Between 2008 and 2011, her city suffered more than 100 unscheduled outages, an average of 26 a year, which have not only frustrated residents and businesses but have raised concerns about open space fires. Muratsuchi said although Torrance, his longtime city of residence, doesn’t suffer as many outages as other areas in the South Bay, he saw a pressing need for increased transparency and accountability for rate payers. 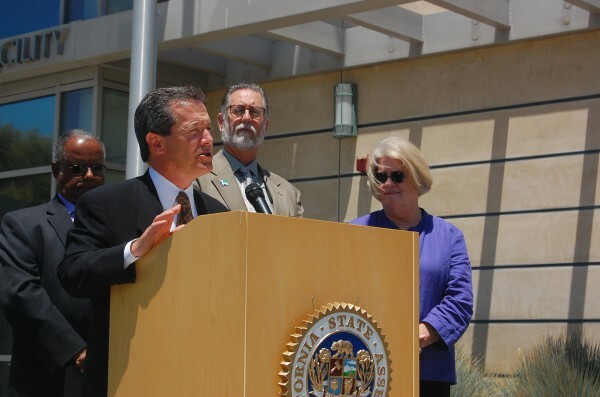 In a press release, Southern California Edison said it is “neutral” on AB 66. Edison stated that as part of a $1 billion system-wide infrastructure upgrade, it is undertaking a five-year, $50 million project to upgrade the power grid, built 50 to 60 years ago, throughout Rancho Palos Verdes, Palos Verdes Estates, Rolling Hills and Rolling Hills Estates. One project involves upgrading a distribution circuit in Ranchos Palos Verdes, replacing about 150 poles, 57, transformers and 2.75 miles of overhead power lines.